Do you want a curb appeal that packs a punch when it comes to your stonework feature? Then follow these guidelines when picking the proper stonework material for your outdoor. Identifying the actual area where you want your stonework project will give you an initial estimate of materials needed and budget you will need. This will also give you opportunity to survey whether the area needs further proofing. This applies if and when your area gets easily soggy or flooded. You should also note places where there might be soft inclines or slopes. A flatter terrain is more amenable to stonework but fortifying it can also help in lessening the chances for soil erosion. Pick your main patio material. Now there are a range of stone options for you. 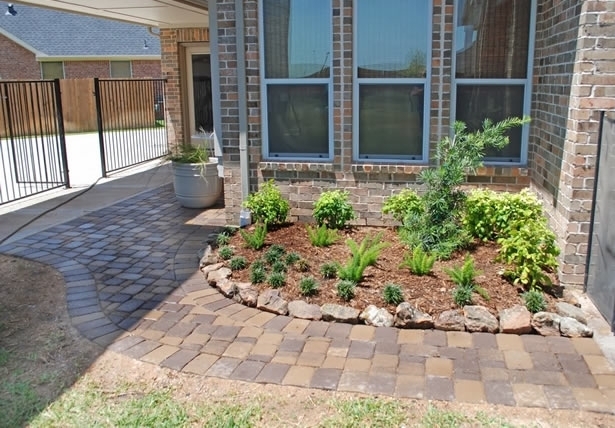 You can choose a single patio material or a combination. From brick to concrete slabs or pavers, it all depends on the size location, budget, and your existing home structure. After determining the size area and patio material, you can now research for the current rates for your patio materials. You can also factor in any additional design elements you want to incorporate like accent tiles, paint, or even lights. If you feel overwhelmed with forging on with your stonework project, the Personal Touch Landscape team with their 20 years of experience is just one call away. Call us today and get a free no-obligation consultation. They can also drop by your property to do an initial inspection and give you a free quote. With all those free services at your fingertips, what are you waiting for? Call us today and let us help you achieve your stonework project with ease! © 2019 Personal Touch Landscape. Inc.